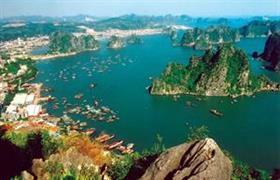 Vietnam - the country ideally suited for tourism and property investment. The hot climate, beautiful beaches, lots of interesting places to explore, and most importantly - affordable prices of almost everything. Properties in Vietnam are also inexpensive, and offers in addition to its affordability - are very diverse and interesting. Of course, the recent crisis has affected the local market, but according to experts the country's potential is obvious. In recent years, many professional investors and foreign nationals are interested in the country, since around 2011 Vietnam has become a great place for investment. Foreign citizens have the right to buy real estate in the country only in the form of a flat and just in the following cases: direct investment in the country's economy; in the case of marriage to a citizen of Vietnam and permanent residence in the country; and also employees of special companies with a university degree. The apartment at the same time can be purchased for a period of 50 years, and after this period, it is necessary either to sell or donate the property. Only the owner is entitled to reside in the real estate. But, presumably, the state law on the sale of property to foreigners will be revised soon. In earlier times the construction in the country was a bit unusual due to the fact that the builders were allowed to use too little space. The height of buildings was allowed to be up to 7 floors, the maximum width of the facade - up to 5 meters, and for this reason, the depth of the building could reach up to 20 meters. There are many such buildings in the major cities of Vietnam. On the first and second floors of these buildings are located, as a rule, shops, cafes, offices and even hotels belonging to the owners of the buildings. In recent years, the construction in Vietnam is being widely modernized using new technologies. Since 2011, the government stimulates builders to consume less energy during construction. These buildings are called "green" and they, in particular, may use solar and geothermal energy. Such ecological and economical developments are increasing their number, as the company-builders who specialize in this type of construction are receiving material compensations from the government. In general, Vietnam's real estate market is only growing and the scope for investors is expanding, so you should look closely at this exciting country!